The first silverware of the season will be decided in Cardiff on Sunday as Chelsea face Liverpool in the Carling Cup Final. For a trophy so often sniffed at by the leading clubs, it is ironic that the League Cup final of 2005 is a match of undoubted substance. Liverpool manager Rafael Benitez would rightly consider a win as a feather in his cap during his first season in England, whilst Jose Mourinho will want his Chelsea side to go out and silence the critics following defeats to Newcastle and Barcelona in the past week. From a position of such serenity a fortnight ago, the waters surrounding the Chelsea squad have become considerably choppier since they experienced their first taste of successive defeats this season. Much has been made of the fact that Arjen Robben has been missing through injury, but Mourinho knows that one man does not make a team and will want his men to rediscover their form this weekend. Despite the bad results, it must be remembered that for the second halves of the games at St James’ Park and the Nou Camp, Chelsea were playing with ten men. 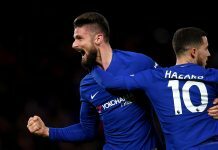 To not concede against Newcastle and to only allow Barcelona’s whirlwind attack two goals shows that the Chelsea defence has not weakened. A slight improvement from both Eidur Gudjohnsen and Didier Drogba would see the back pages return to ‘wax lyrical mode’ once more and Liverpool return home empty handed. One man trying to prevent such a scenario will be Steven Gerrard who returns having missed Liverpool’s 3-1 win over Bayer Leverkusen through suspension. 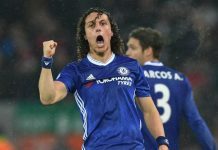 The captain so often linked with Chelsea will be going head to head with Frank Lampard once more in what will be one of the game’s vital battles. Another will come when the attacking partnership of Milan Baros and Fernando Morientes meets the Chelsea defence so superbly marshalled by John Terry. Morientes experienced success against the Blues with Monaco last year, but joining the select few domestic players to have beaten Petr Cech this season will be a harder task. Both squads have their injury worries ahead of the game with the Chelsea physio having been particularly busy in the past week. Damian Duff and Didier Drogba will be fit having recovered in time for the Champions League in midweek, but missing will be Wayne Bridge, Robben, Scott Parker and Robert Huth; all with long-term injuries. William Gallas is considered doubtful having only just been passed fit to play in Spain. Liverpool will be missing injury victims Xabi Alonso, Florent Sinama-Pongolle, Djibril Cisse and Josemi. Alonso may well afford himself a wry grin on Sunday given that it was Chelsea’s Lampard who broke his ankle on New Year’s Day at Anfield. On that day Chelsea ran out one-nil winners thanks to Joe Cole’s late, deflected winner and to a blatant Tiago handball for which referee Mike Riley decided not to award the home side a penalty. Cole also scored the winner at Stamford Bridge in another one-nil defeat for Liverpool in October and the two results will give Chelsea confidence ahead of this Cup Final. Steve Bennett will be hoping for an enjoyable afternoon jog under the roof of the Millennium Stadium whilst the two sets of fans will provide an atmosphere second to none. Much more than the Carling Cup will be at stake and the game will be played as such. A hard fought game could come down to the Chelsea defence and a return to normal service.